Can you help me brainstorm in regards to the direction for The Scarlet Paradigm website? Other than upcoming shows and links to our other online pages, we don’t have lots of content (yet). I’d like for us to post creative stuff (e.g. short videos, random artwork) to fill in gaps between the shows. Without that, it feels pointless to spend time or money[1. We don’t have money. Boo.] on a Flash intro page or website. I could just make a simple intro page with a random image script. But, I think an intro page is a waste — it’s one extra click. If you’re in a band or know someone who’s in a band, and local to Arcadia, Temple City, or El Monte, email bill [at] thescarletparadigm.com immediately. Update 9/20/2009 — Ugly Ape will be playing the last set for the night. Nice. I’m done with Macroeconomics! So, I thought this would be a good time to share what’s happened the past few weeks that I haven’t written about. Other than the posts you’ve seen about my taking photos at a few concerts, I photographed an event for Dennis Carpenter, took corporate headshots for the directing attorneys at work[1. Thanks to Michael Kang for a crash course in Strobist technique (off-camera lighting). I’ll post one or two of them when I can. ], and went on the Worldwide photowalk at Venice Beach. We (The Scarlet Paradigm) have another gig at the Whisky (West Hollywood). It’s a late one, but we’ll make it worth your time. People seem to love us, too, so come out! Are you a photographer? First of all, the venue is camera friendly. We’d love to see any photos you take of us! I could also use some company walking up and down Sunset for some street photography. (Hopefully some Flickr friends will join us.) We just have to be at sound check at 3:00pm, so we’ll probably be done around 4-4:30pm. That’s a lot of time to kill. Let me know if you can hang out, yeah? Our band, The Scarlet Paradigm, has a show coming up. Oh, and this one is ALL AGES. Can you dig it?! Please buy your ticket now so we don’t have to worry about our pre-sale quota — a necessary evil as we work our way into the big time. Once we sell all these, I’ll remove the “Buy Now” link and you can just buy it from the box office the day of the show. Update 2/10/2009 – We did it! Thanks everyone! Don’t let that stop you from coming to the show, though. Let’s pack it out! 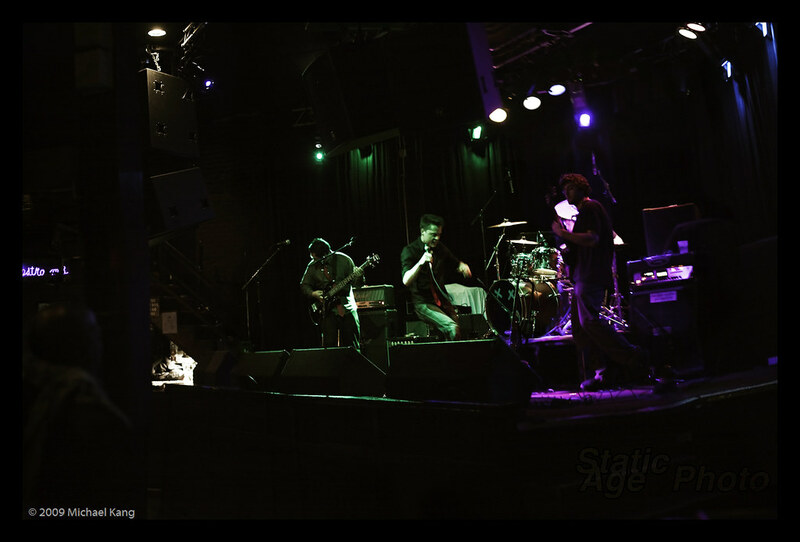 The Scarlet Paradigm is a Los Angeles rock band rooted with progressive, metal, hard, and punk rock influences. Formerly composed of the members of Phantom Scream since 2005, TSP has been equipped with a new singer since July 2008.